A painting that I'm currently working on. 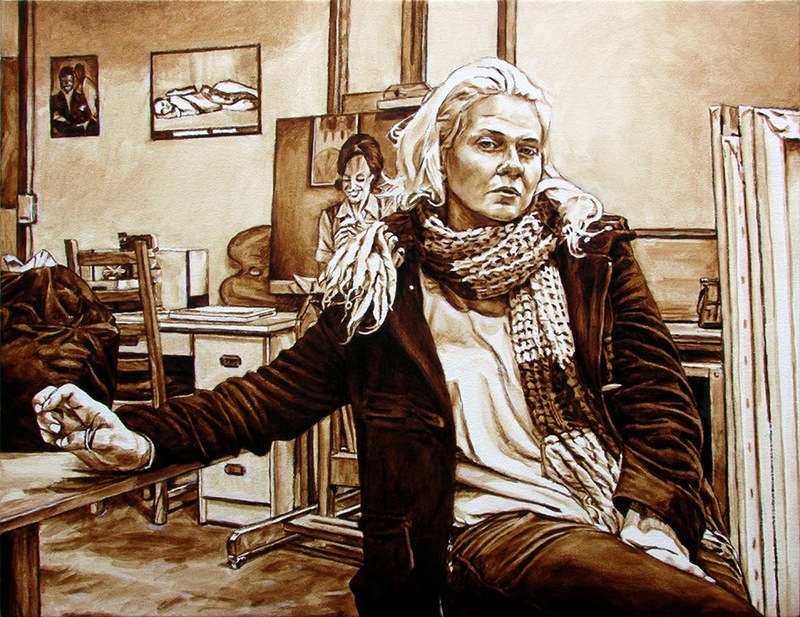 This is the umber "Dead-colour" layer of a portrait of an artist friend, with one of my studio-mates' spaces in the background. Although this is a small painting for me, this is the standard way that I typically produce paintings (well at least it's one of the ways in which to fashion a painting that I was trained in). I will be working this up to full completion over the next week or so, and might well post further images of the work in progress as well as the final piece.